We held two visitations at Mt. Olive Church in Chicago on Sept. 20 and Sept. 22. Many friends came to pay their respects and comfort us. We followed the Saturday visitation with a funeral service. Order of ServiceWe chose to have the events at Mt. Olive Church because it is a beautiful church, close to our home, and it's where George’s sons Sam and Josh attended preschool and Vacation Bible School. The service was led by my pastor Mark Brouwer of Loop Church, 11 E Adams St, Chicago, where I was a member before I met George and where I continue to worship with our sons. A few names weren’t in the service bulletin: Jay Rehak and John Kugler were my choices for pallbearers, along with George's sons Dan, Sam, and Josh, and my brother Jim Griffin. My friend and former Loop Church intern Antonia Coleman performed a beautiful solo of “Precious Lord.” Mt. Hope Cemetery, 11500 South Fairfield, ChicagoPianist Sheri Dieleman played the prelude, postlude and accompanied the congregational singing. We chose "What Wondrous Love is This" because George's youngest sons and I love the words and melody. "Be Thou My Vision" is also beautiful and chosen in part because of its Irish origins, as one line of George's family is Irish. 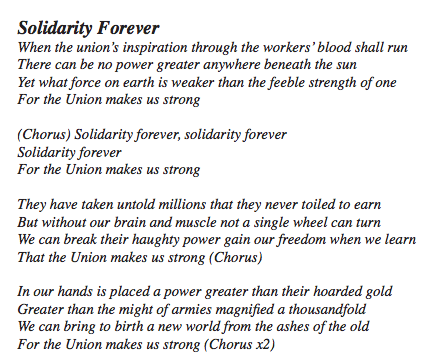 We only sang three verses of "Solidarity Forever" at the service, but there are more. See http://unionsong.com/u025.html for more.At the service, three friends shared stories about George: Substance co-founder and Sam and Josh's godfather Larry MacDonald, longtime friend and Substance staff member Terry Daniels, and Substance staff member and Chicago Teachers Union Recording Secretary Michael Brunson. 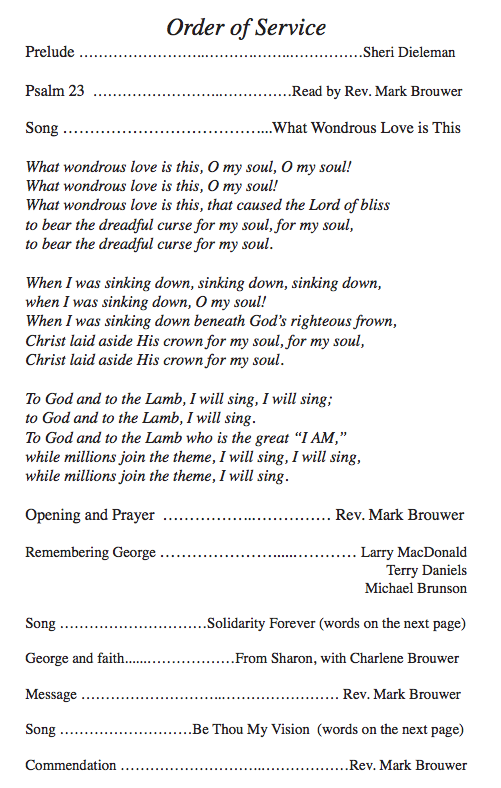 Following their memories and eloquent, loving words, the congregation sang "Solidarity Forever," the singing of which had often been promoted by George. My pastor Mark Brouwer from Loop Church preached about making sense of death through a Christian lens. While George was raised in the church, and wanted his sons to have faith in God, for most of his life he was an atheist. However, his work on behalf of others showed so much love. Pastor Mark read from the epistle 1 John – ..."love is from God and whoever loves has been born of God and knows God." I also spoke about George, using some of what I wrote in the report, “George’s life of love and service," mainly to talk about his upbringing and family life. George's body was cremated. On Friday, Sept. 28, we buried his remains at Mt. 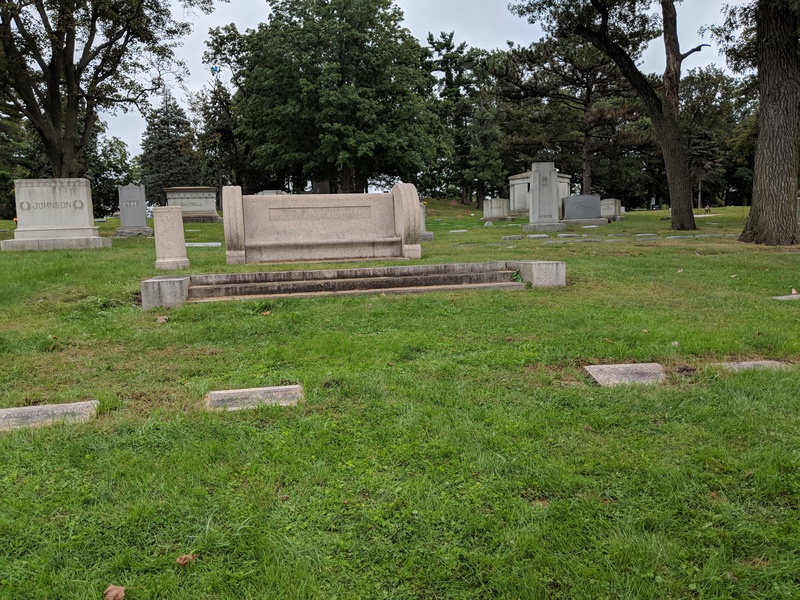 Hope Cemetery in Chicago in a Griffin family plot, alongside a newspaper publisher relative of mine whom George admired. The graveside service was attended by some friends and family. It was very sad for us, but helpful to think of George at rest in peace. Sharon, your kind of religious belief can reconcile a confirmed atheist like me to Christianity. I love your quote here about anyone who loves is of God and knows God. It's lovely and conciliatory. Thanks.